An Stór Tourist Hostel, Drury's Avenue, Midleton, County Cork is located in the bustling market town of Midleton. Frank and Maria provide top quality accommodation for budget prices. The comfortable rooms suit groups, families and the independent traveller. The self-catering and serviced kitchens allow the guests flexibility in their choice of dining. The atmosphere is friendly and informal. 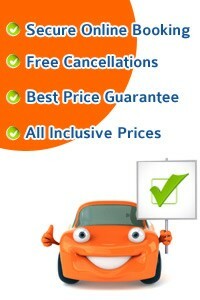 We guarantee the best value in east Cork. Car-parking is free and the hostel has a bus route close by. An Stór Hostel can be used as a great touring base for East Cork, right on the door step is the Jameson Midleton Distillery and sample a little tot of whiskey. Another Visitor Attraction in East Cork is Fota Wildlife Park, House & Gardens, a great day out for all and then enjoy the historical Barryscourt Castle in Carrigtwohill. Another day can be spent enjoying the wonderful beaches of Garryvoe & Shanagarry, stop and enjoy some browsing in the Stephen Pearce pottery shop & cafe, travel on to Ballycotton and enjoy this little fishing village, a village favoured as a holiday retreat in the past by the American actress Angela Lansbury of "Murder She Wrote" TV fame. Kinlay House Hostel, Shandon, Cork is the place to stay for budget accommodation in Cork City Centre in the shadow of the wonderful Shandon Steeple. We have both dorm beds & private rooms available - perfect for everyone from solo backpackers to families to large groups. Thinking of moving to Cork to work or study? Ask about our weekly rates so you can stay cheaply while you look for a permanent place to live. Day Tours from Cork available, Paddywagon Tours run two great day tours from Cork - the Cliffs of Moher & Blarney, Cobh & Kinsale! They pick up at Kinlay House daily. Book on arrival at reception. The Village Accommodation offers Summer Accommodation in Cork City and is suitable for Students and Professionals, Families wishing to stay in Cork City or use it as a touring base for West Cork or East Cork touring. The Village Accommodation is also suitable for Language Schools and Groups wishing to stay in Cork City centre. The Village Accommodation offers good value secure accommodation where the rate includes Electricity, Digital TV & DVD, free use of Broadband Internet Access, and free Car Parking. The Village Accommodation, 60 apartment complex is a family run business located just 5 minutes from University College Cork (UCC), Fitzgeralds Park & Cork Museum and just a short walk to Cork City Centre.